What's the Talk about Pattaya Condos All About? It did not take long to find out that many expats own a condo in Pattaya. So, I investigated why people love to buy and live in a condominium in Pattaya. What is the difference between a condo and a house? 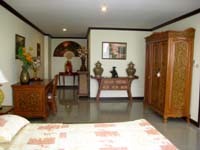 Villas are free standing units and condominiums are units/condos in buildings and they are found in condominium complexes. So what are the benefits of owning a condo versus an apartment, house? Pattaya condos do have their benefits. You don't have to worry about maintenance, and you can buy prime ocean view locations in Pattaya. 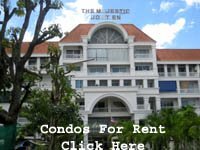 Also, there may be rental income possibilities if you own more than one condo and maybe more importantly, it is the only way to own real estate in Thailand if you are not a Thai national. 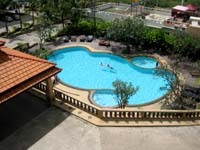 Pattaya condos can be right for certain people in certain situations. you can own a condo in Thailand and put it in your name. you can buy a condo in prime locations in Pattaya, Jomtien and Naklua. no maintenance. This may be of Importance if you retire. Condos in Pattaya, Jomtien or Naklua are available from less than one million baht for a studio type condo and 70 million Baht for luxury condos with large balconies, breathtaking ocean, beach, and island views. Prices vary depending on location, view, size, interior finish and what floor the condo is on. Tangible amenities might include swimming pools, health club facilities, party rooms, community centers, security and garages. Before purchasing one of the Pattaya condos make sure you know the taxes on the sale and any other additional costs like operating cost and maintenance fees. The highest value aspect in most real estate purchases is location of course. Research would be advisable about future new developments in the vicinity of the condominium complex. There have been areas in Pattaya and of course anywhere else in the world, where areas have deteriorated and thus the property value in the area depreciated. The opposite can and has happened as well. Even if the property is in an excellent area it would be advisable to find out as much as possible about future plans in that area. Give thought to what you need and want and if you know you are not going to use the swimming pool, know that the condo's purchase price and the monthly fees will reflect the use regardless of your usage of the pool. Visit various condominium complexes in Pattaya so you know the area where you want to live. Does the condominium complex have a good reputation? Try to talk to current expats/residents how often repairs and maintenance are required. Check out parking area, storage, security and other facilities. Get to know the condominium complex. Inspect and walk the development you're looking to purchase a condo in. Is the development clean and nicely maintained? Talk to other expats already living in the condominium complex and find out how they like living there. Inspect the condo you're interested in and want to purchase. Check the water pressure in the sink, toilet and shower. Is there enough closet space or will you have to make modifications? It's your investment. If there are a lot of condos for sale within the complex you are considering to purchase you may want to investigate why. 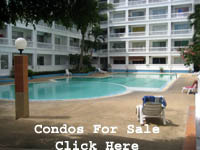 Want Pattaya Condos For Rent or For Sale?